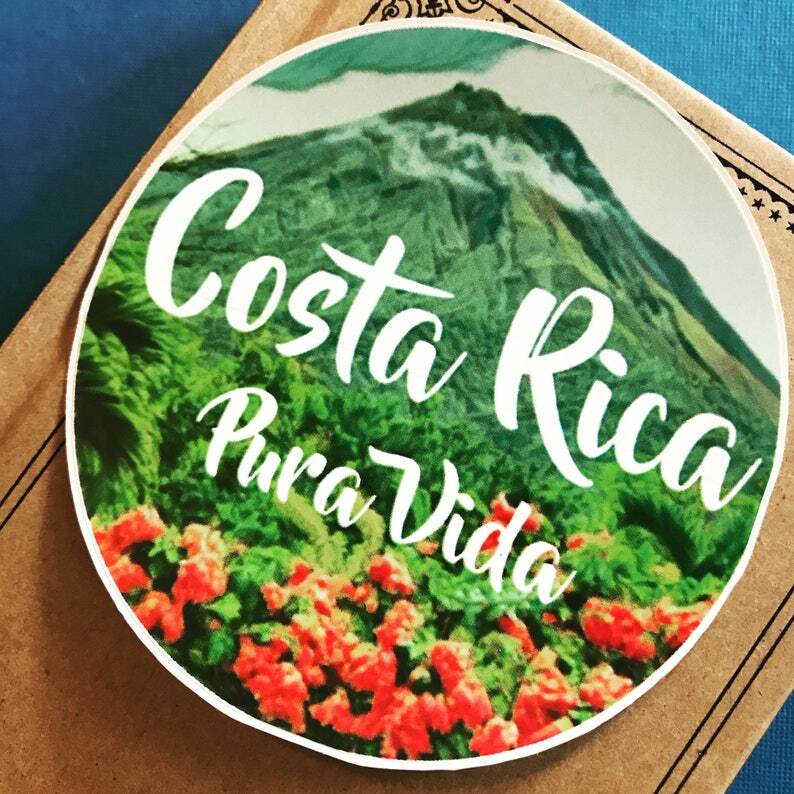 This circular sticker features the quote "Costa Rica Pura Vida." The background shows a volcano. Perfect for my daughter's camp trunk!!! Great sticker- so pleased with my purchase. Thank you!